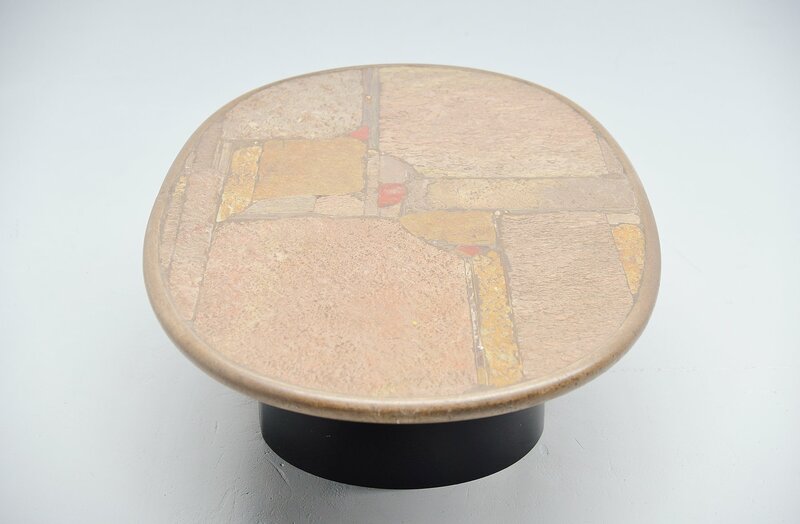 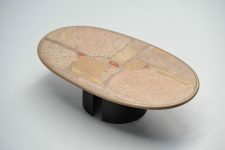 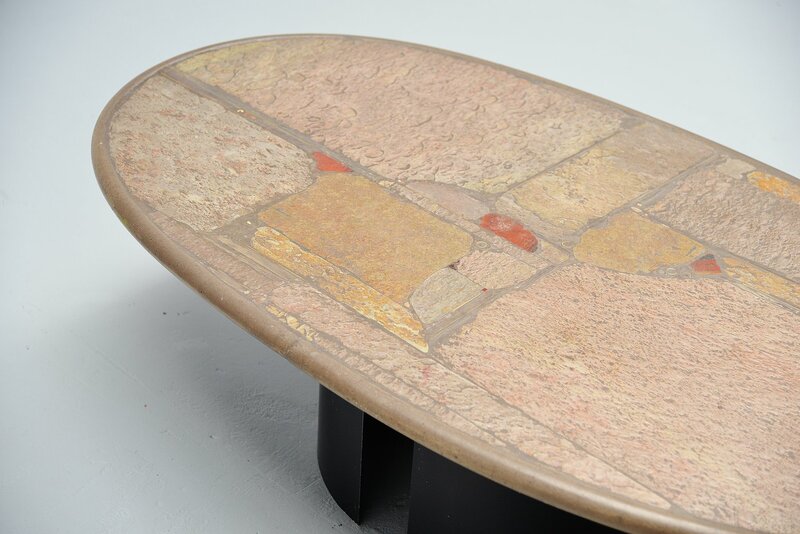 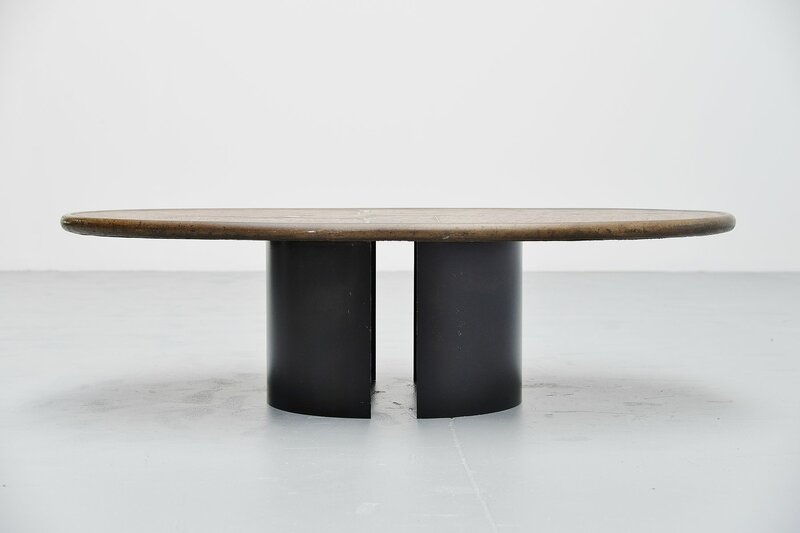 Very nice one off oval shaped coffee table designed and made by Paul Kingma, Holland 1993.Paul Kingma was well known for his architectural tables that pay a tribute to the riches of Nature by traveling extensively in search of rare materials, whether raw or industrially produced. 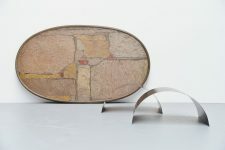 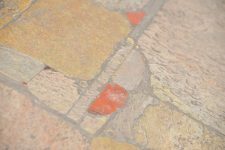 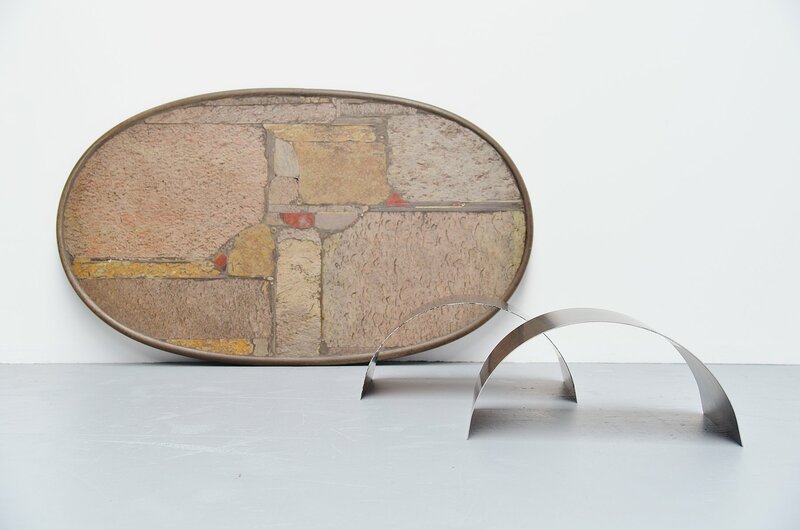 He combines recourse to materials used in architecture like stone, metal and concrete, with rich varied materials as brass, copper, glass or ceramic. 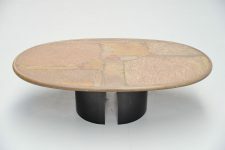 All his tables are unique one off productions and when he got famous, most were special client’s orders. All his tables are marked, the early ones only at the bottom, from the 1960s he started marking them with a metal tag at the top and later he also added the production year. This one is signed Kingma '93. 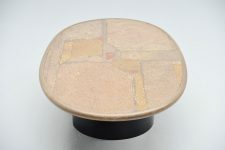 This is for an unusual large sized oval one, oval ones are hard to find. 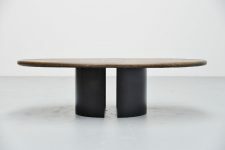 The large and heavy square concrete top rests on 2 metal C shaped bases that are black lacquered. 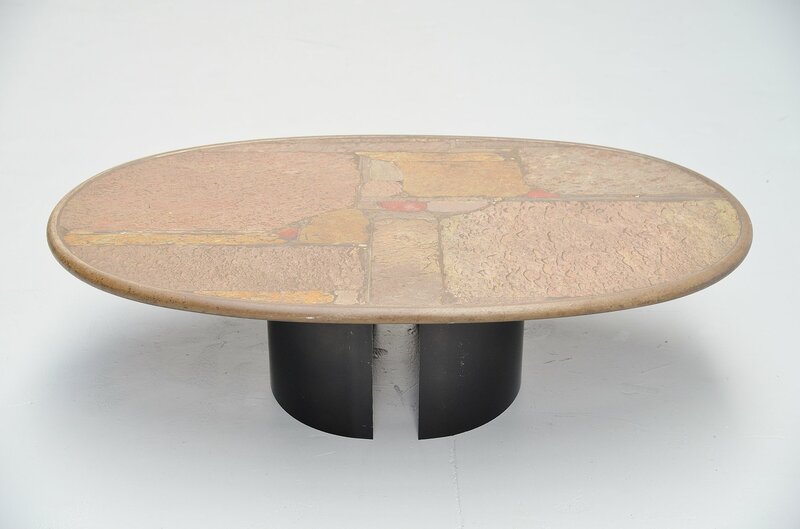 We have been working with Paul Kingma's work for several years now and prices have increased a lot, where the offer on these tables lowered. 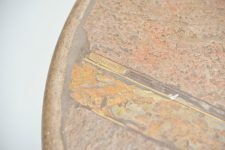 Especially the nice early undamaged examples are hard to find.